Australian perfume company Tommi Sooni produces four fragrances (two new perfumes will debut in 2012). I just got around to trying the complete Tommi Sooni line; for now, I’ll skip the two feminine fragrances( Jinx and Tarantella) and concentrate on the unisex Eaux de Toilette – Eau de Tommi Sooni I & II. Eau de Tommi Sooni I opens with notes of moss and original Listerine(R) (the huon pine?) Next up are lime and green leaf notes with a touch of jonquil. I’ll attribute Eau I’s faint (and fleeting) smokiness to the “cigar accord” (I don't smell a “realistic” tobacco note). Eau de Tommi Sooni I is a refreshing, invigorating perfume that wears down to an interesting accord of “dry” floral tea, mint, clove and wood (perhaps this approximates the smell of huon pine?) Using another horticultural “reference,” I'll say the overall aroma of Eau I reminds me of the scent of the headache tree. Don’t let the name fool you: I like the intense, spicy scent of the tree’s leaves. 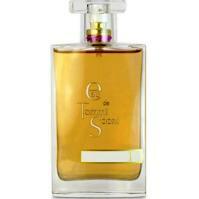 Eau II smells like a great French fragrance of yore…streamlined/well-blended and dense (sillage? a necessity!) Eau II has a passing resemblance to heritage Guerlain fragrances, especially Jicky (though there is no lavender or civet listed for Eau II). As Eau II develops, I detect a creamy lemon aroma, jasmine and vanilla/tonka-infused honey. For an Eau de Toilette, Eau II is quite “rich”; it begins snow-white in character but darkens and becomes a bit ‘earthy’ as it wears down. Though most people I let sniff Eau II thought it was a feminine fragrance, I have no qualms about wearing it and it’s the Tommi Sooni perfume I like best. Eau de Tommi Sooni I & II are available in 100 ml for $165. For buying information, see the listing for Tommi Sooni under Perfume Houses. Kevin, I reviewed the whole line and like Tommi Sonni II the best myself – the honey and ylang ylang are so wonderful against the citrus. I do recommend you try Tarantella – it is a nice old-school-style chypre that I could see a guy enjoying, too. Tama: oh, I”ve tried ’em all. Tarantella was nice. Notes of Listerine, huh? Combined with cigar, this makes me think of smokers’ efforts to cover up a bad habit. I think I’ll pass on that one! MR: HA! A touch of Listerine hurts no one! It’s there and gone quickly. Love the smell of Listerine – I’m interested! I must say, everytime I see the name I want to say ‘Tommy Sooni’ because of that ‘I’ at the end of the name. What’s the deal with that ad? Someone who lost their shirt in the forest? WTH?